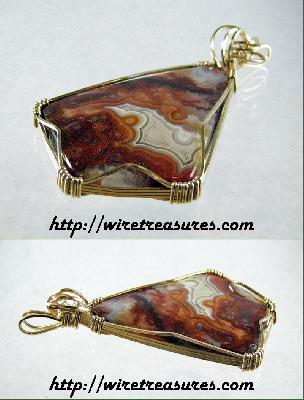 I can't put new pendants on the WT web site without including a Lace Agate pendant! This beg freeform-cut Lace Agate cabochon has bright, distinct fortifications and looks incredible wrapped in 14K Gold Filled wire. I hope you will agree! 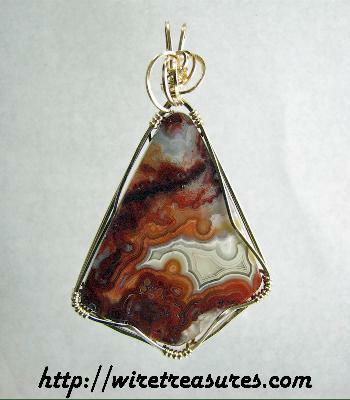 If Lace Agate is one of your favorites, then click here to see all of the Lace Agate items on the site!